In the current funding climate, it can be hard for community colleges and non-profits to stage grants due to uncertainty around the availability of funds or inconsistent funding schedules. One tool which can help alleviate this unpredictability is a grant forecast. A grant forecast centralizes knowledge about predicted, soon to be available, and open grant opportunities, both public and philanthropic. Using a forecast allows organizations to begin the grant application process sooner, which not only makes the entire experience less stressful, it also produces better quality applications. 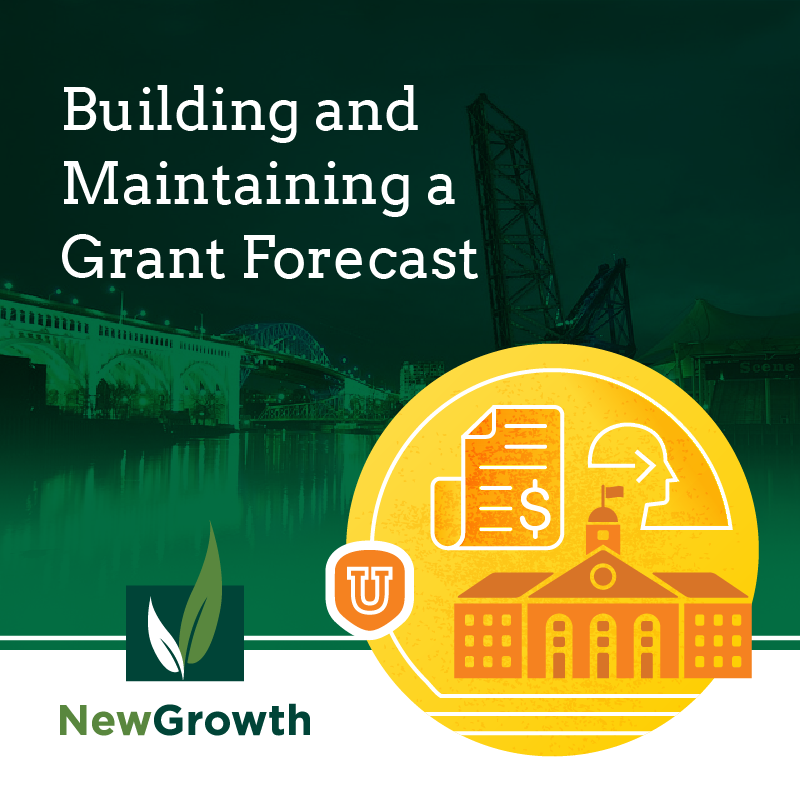 In this blog we review New Growth’s process for building and maintaining a grant forecast. What are our strategic priorities, and how can funding support them? Which projects or programs need the most financial support? Who will be using the forecast and what information is most relevant to them? Answering these questions will help you narrow your grant search and specify the information you need to gather to make the tool useful. Did we deliver on our expectations? Is this a recurring opportunity? If so, when will we have an opportunity to reapply? Do we still have a relationship with the program officer? What information can we learn from them about other funding opportunities? The answers to these questions will fill the base of your forecast. From here you can look to other sources of information such as grants.gov, the foundation center, state departmental websites, and other grantees to identify potential or open opportunities. For smaller organizations, the capacity required to build and maintain a grant forecast might seem like a challenge. New Growth is here to help. We have helped community colleges and non-profits from across the nation stage their grants through the use of a grant forecast. We have a master forecast that we share with clients to give them a shot in-time analysis of current funding opportunities and provide them with a forecast template that they can update as needed. We also work more closely with clients, through digging into their strategic priorities and providing them with a customized forecast which identifies the best grant opportunities for them. If you need help identifying potential funding sources for your next project, email Robin and she’ll co-create a forecasting solution that fits the needs of your organization.